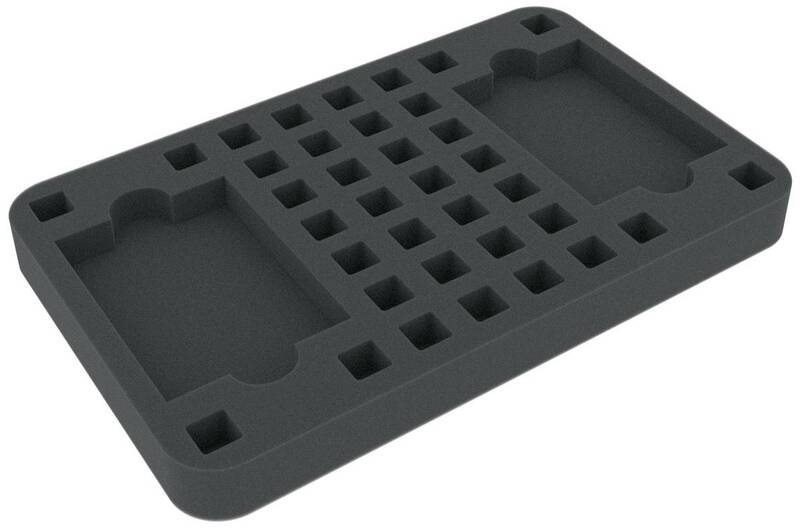 Foam tray with 36 square compartments (14 mm x 14 mm) for dice. Ideal for all W6 with 14 mm edge length. Also with 2 compartments for standard game cards. 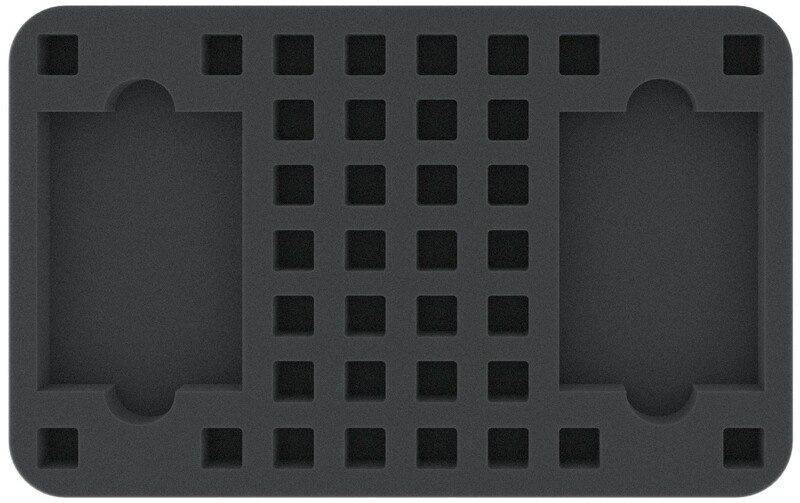 The Feldherr half-size (HS) foam tray has the dimensions: 275 mm x 172 mm x 25 mm total height (15 mm usable height + 10 mm foam base).